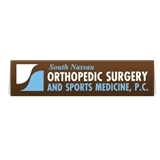 South Nassau Orthopedic Surgery & Sports Medicine (Valley Stream) - Book Appointment Online! The staff is very pleasant and accommodating. Only complaint was the wait time. I scheduled my appointment for 9am so that I would be seen 1st, however multiple people were seen before. I arrived before 9am so there was no reason for that to happen. Thank you to the staff for addressing my dilmea once I brought it to their attention.